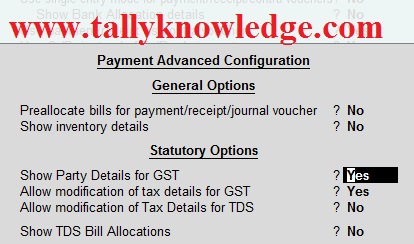 Home / GST-Tally / How to Show Cash Expenses with Party Name & GSTIN in GST Return? How to Show Cash Expenses with Party Name & GSTIN in GST Return? In this tutorial we show you how to show Party Name & GSTIN number in GST return without enter purchase entry for any expenses and show GST Input Effect Correctly. I think you are surprise, how it can be done. But it is possible without any TDL. So lets Start. For Example, I purchase Stationery Items from Sumit Stationery Mart for Rs. 1500 and CGST of Rs. 135 & SGST of Rs. 135 @ 9% each and total bill amount is Rs. 1770 including GST. To show input credit you need to enter purchase voucher and then enter payment voucher. Purchase voucher is for booking of expense and payment voucher is set-off the payable amount with party. But do you know you can enter directly cash payment voucher to show input credit with party name and GSTIN number and also it is eligible to upload on GST Website. 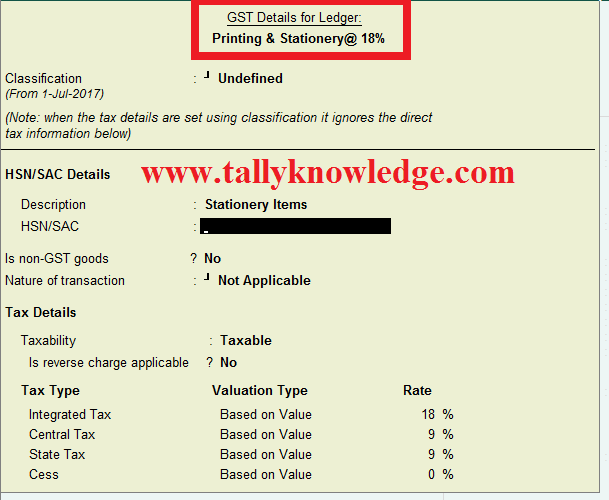 If you already created Input Tax Ledgers then proceed otherwise you need to create input CGST and SGST ledger first. Now go to Accounting Voucher - Press F5 for payment and press F12 twicely. You see there is option "Show Party Details for GST", Set yes to this option. Create Payment voucher, Enter Dr. Printing & Stationery @ 18% (Select Tax Classification from the list), Dr. Input CGST 9% Rs. 135 and Dr. Input SGST 9% of Rs. 135. As above we select the option for Show Details for GST to yes, when you pass cash ledger screen ask you to enter the details of Party Details from which your purchase the material or to which payment was made. For ease, you can copy the paste the ledger (which was we create earlier) in party details when you paste the name rest details will automatically appear like address, State, Registration type and GSTIN. Press Enter and save the voucher. Now go to GSTR 3B or GSTR 2 to watch the Input Credit details.